"So, if you want to learn from the best, there’s perhaps no place better than Lundin’s Aboriginal Living Skills School, an Arizona compound that offers courses in both wilderness preparedness and adventure training." Why is it important to teach people wilderness survival and primitive living skills? Why did you create ALSS? Where is Prescott, Arizona and how do I get there? 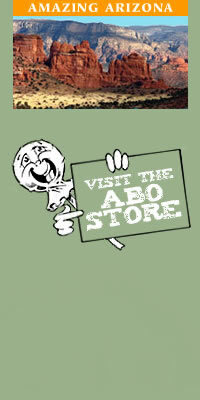 Because your school is located in Arizona, don’t you only teach desert survival skills? Can I visit your school? Do you teach college credit courses in wilderness survival? What makes your school different from other outdoor survival schools? Our modern world represents but a tiny fraction about how people have lived on this planet for thousands of years. Common sense skills relevant to the very survival of every culture on Earth have been virtually eliminated from the gene pool in a few generations. Self-reliant skills benefit people in many ways. Some of the perks are obvious, such as surviving a wilderness emergency, natural disaster, or preventing a mishap from occurring in the first place through educated prevention and planning. All self-reliant skills build upon the art of “doing more with less.” Many people come to us because they are tired of carrying a 70-pound backpack into the woods. To take a broader view, in a modern world heavily dependent on technology with seemingly no plan on what to do if that technology fails, knowing how to protect you and your loved ones brings welcome independence and peace of mind. Other training benefits are more subtle, but overall, no less important. All self-reliance skills profoundly increase your self-confidence, common sense, and awareness of how Mother Nature and human nature work. In the world of survival and life itself, there is no substitute for a positive attitude. Working with others accomplishing time-honored activities enhances group dynamics, cooperation, and creative problem solving skills in an honest, no-nonsense fashion allowing you to better understand yourself and those around you. Self-reliance skills clearly illustrate what you need to live. Understanding what is needed to live, instead of “living to want,” is incredibly liberating and will release you from much fear, anxiety and uncertainty. You may find yourself becoming more and more anchored within the truth of common sense and simplicity, and find great pleasure and gratitude in the tiniest things. You will start to develop an increased appreciation, understanding, and awareness toward our environment, reviving an ancient thought that was fully aware that when one element in a cycle was disturbed, it caused an imbalance within the entire living system. Aboriginal living skills and survival skills were used throughout prehistory and are the common heritage of humanity. Like eating and breathing, indigenous skills reinforce what people all over the world have in common. Watching a big city executive make fire with sticks and instantly rekindle a primal, child-like part of their life is quite special to watch. Prescott is located in central Arizona in the geographic province known as the Central Arizona Uplands. This diverse landscape includes pine/oak forest, pinion/juniper woodlands, short grass prairie, chaparral, and several riparian habitats. When gold was discovered in the Bradshaw Mountains in the late 1880’s, people were quick to make Prescott the Territorial capital of Arizona . While the town itself has grown by leaps and bounds, Prescott ’s surrounding areas offer some of the most scenic and remote country in the state. I developed and taught the program curriculums in outdoor survival skills and primitive living skills for both Yavapai College and Prescott College in the early 1990’s. I currently teach three courses for Yavapai College: Outdoor Survival Skills, Winter Survival Skills, and Aboriginal Living Skills. All are two-credit courses composed of back to back weekends, one in the classroom and the following weekend in the field. In addition, I lead a field based orientation for the Leadership Center for faculty and staff development at Yavapai College. 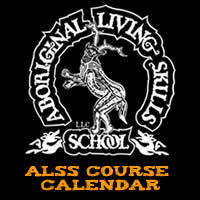 I founded the Aboriginal Living Skills School not as a job, but as an extension of my lifestyle.  Each ALSS experience offers you far more than a simple “black and white” run down of outdoor skills- we also offer you the mental and emotional mind set to go with it. Skills alone become useless trivia without the power of "educated intention" to drive them home. Self-reliance is our passion and we live what we teach. Being locally owned and operated, our courses retain a flavor and intimacy long vanished from larger schools. Although we are a small school and choose to remain so, we’re big enough to handle most all of your training needs. At ALSS, our focus remains on getting better, not getting bigger. Feel free to view our training advantages and call us if you have any questions. Our sister company ACES will soon offer a wide variety of self-reliance skills that we practice on a daily basis on our 36 acre wilderness retreat such as passive solar design, alternative energy sources, water harvesting, organic gardening, composting, and permaculture. It should come as no surprise that indigenous peoples the world over practiced the very same skills for millennia. Our courses offer you a bridge between two worlds, the modern and the primitive. We combine the newest findings in survival physiology and psychology and the time honored wisdom of indigenous cultures, along with years of personal back country experience and off-grid living.